PANAJI: Shraddha Kapoor and I have our roots in Goa, said yesteryear actress Padmini Kolhapure speaking at IFFI’s Bioscope village on Tuesday night. It was a story studded affair at the inaugural of Bioscope on Tuesday at Campal actress Shraddha Kapoor, her maternal aunt and veteran actress Padmini Kolhapure and renowned filmmaker Subhash Ghai. The trio formally inaugurated the event amidst the rush among fans who swarmed around the stage to get a glimpse of the stars. Speaking in Marathi, Kolhapure welcomed the concept of Bioscope and said, Iffi is getting larger with each passing year. 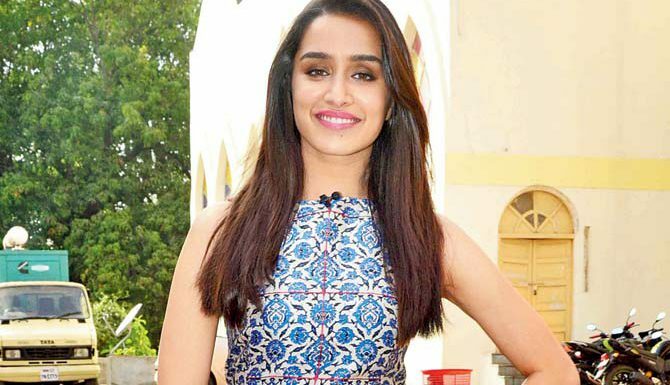 Kapoor also spoke in Marathi and recalled her memories of shooting scenes of Aashiqui 2 and Ek Tha Villain in Goa. “Goa has been very warm to us for shooting our films. Bioscope village is a great feature for Iffi,” She added. She also sang her song from Ek Tha Villain, Galliyaan which the audience members sang along with her. Deemed as the youth icon, Kapoor was given the Gen-Next award at the hands of Subhash Ghai. Next Post: Nation on wheels! With or without Cash.